Pack of 10 mini powder puffs. 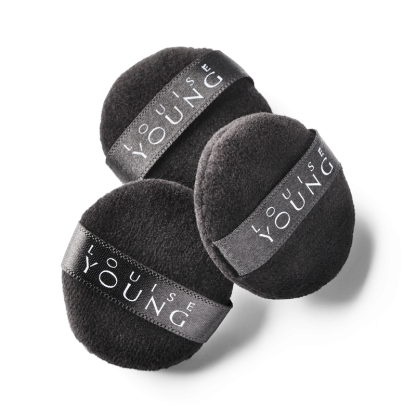 These mini powder puffs are perfect for applying loose powder and for touch ups throughout the day. Professional make-up artists love to use these to balance on the face whilst making up an artist for comfort and hygiene. Tap into a loose powder and roll onto the face to set foundation. Alternatively, slip your finger into the ribbon to use as a barrier to lean on when making up an artist.